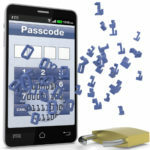 Unfortunately, just creating an airtight BYOD security policy isn’t enough. As a manager, you will have to convince and motivate your staff on the importance of following the policy. This may be more challenging than you realize because studies point to a portion of workers not caring about following BYOD security policies. Many employees just want to connect whatever device they’re using to the company network so they can quickly access the files they need without being bothered with security measures. 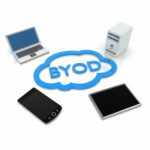 This nonchalant attitude about BYOD security is at the heart of most security breaches caused by mobile devices. In a survey by Centrify of more than 500 employees at mid-to-large companies, it was discovered that 15 percent of employees believe they should have little-to-no responsibility to protect the data stored on their device. 15 percent may seem like a low figure, but all it takes is one compromised device to corrupt your entire network. In the same survey, almost half of the respondents admitted to having more than six third-party apps on their BYOD device, and more than 15 percent admitted that they have had their personal account or password compromised. To make matters worse, 43 percent of employees admitted to accessing sensitive corporate data while on an unsecured public network. In a separate study, CIO.com reported that, “AdaptiveMobile surveyed 500 companies (and employees), with 80 percent supporting BYOD, and found that half of all companies experienced a breach within the last 12 months. One company in the study lost $80,000 when its financial database was hacked last year via a mobile device.” These are scary figures to consider for any business allowing BYOD. 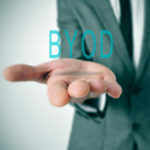 The answer to meet these security risks of BYOD is to educate your staff about the importance of BYOD security, and to motivate them to follow BYOD security measures that you’ve implemented. If they don’t fully understand why BYOD security is a vital piece of your company’s overall network security, then they will ignore your BYOD protocols. Depending on your leadership style, you can either motivate your team to comply with BYOD with either threats or rewards. On the negative side, you can tell everybody that BYOD is a privilege and noncompliance will get the privilege revoked. This can be accomplished on a per-user/per-device basis with a solution called a “kill switch” that essentially renders the device unusable. Or, you can motivate by reward and help pay an employee’s phone bill as long as they’re compliant with your company’s BYOD policy. Whether you choose to motivate with a carrot or a paddle, it’s essential that every staff member accessing your company’s network with their personal device is on-board with your BYOD policy. 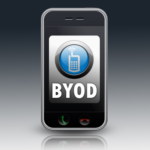 To learn about more ways to strengthen BYOD security for your business and have the mobility offered by BYOD be a help and not a hindrance, call Quikteks at (973) 882-4644.